Over time, there’s a good chance that your carpets will absorb and retain some unflattering odors. Regardless of how frequently you vacuum and clean, completely removing these odors requires professional treatment. 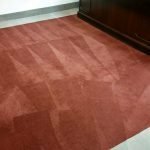 How Does Ozone Carpet Treatment Work? The Gentle Clean team utilizes an Ozone machine in the room(s) that require odor remediation. The machine itself produces small amounts of Ozone (O3) – a molecule containing three oxygen atoms. When these molecules come in contact with odor molecules, the extra oxygen atom binds itself to the odor molecule and destroys it. Since O3 is a weak-bonded molecule, it is aggressive at destroying odor-causing molecules. During treatment, fans are sometimes utilized to circulate the Ozone in larger area. Following Ozone generation, the area is sealed to allow the process to work. Since O3 molecules are harmful to your health in large doses, the area must remain unoccupied for a day to allow the O3 to convert to oxygen. Is Ozone Treatment the Best Way to Fight Odors? Quite simply, yes. Ozone Treatment is more effective and produces better results than chemical sanitizers. Since the process exclusively utilizes oxygen molecules, it’s more natural, too. An honest, accurate, and prompt quote from our carpet care experts. All equipment, materials, and labor. Gentle Clean will provide a start-to-finish solution. 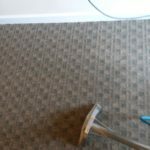 A professionally maintained, odor free carpet. Ready to have those odors removed? Request the Ozone Treatment from Gentle Clean Carpet Care today!